Cleland Contracting is your trusted Carpentry & Renovation Specialists. 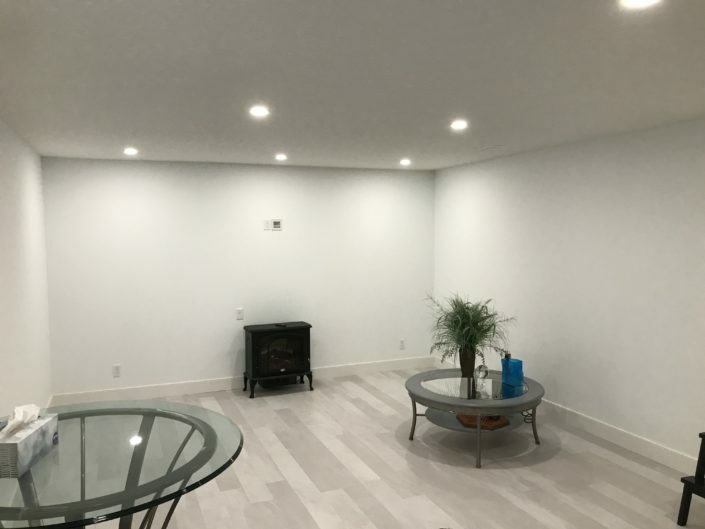 We are a local Calgary family based company, with our team having over 12 years of renovation experience. Customer service and satisfaction is our reputation. Our attention to detail and pride in our work is unmatched in the industry. Our special care to exceptional quality and cleanliness at the job site has made Cleland Contracting the success it is today. We work closely with all our customers to ensure we meet and exceed their expectations and most importantly bring their ideas to life. If you are unsure of exactly what you would like, we are happy to help and suggest ideas that will work within your budget. Together we will make your dreams a reality. 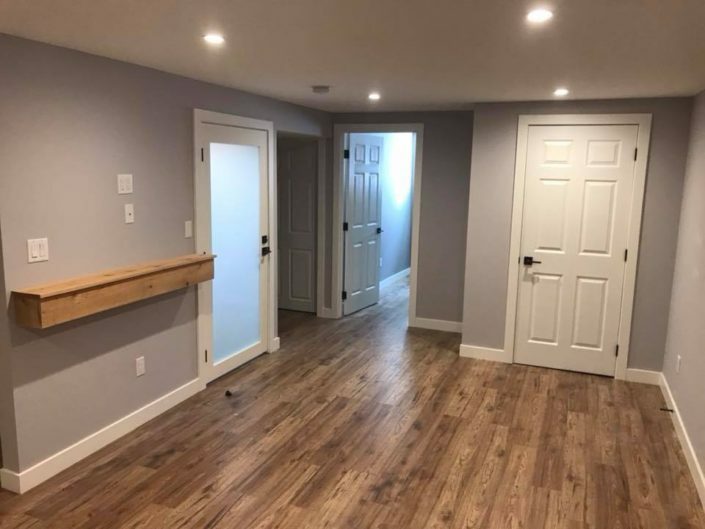 I was in the middle of developing a secondary suite in my rental property when I decided I need additional help to complete the majority of the finish carpentry. I found Chris through advertising and after some discussion about his experience and abilities I decided to bring him onto the project to help. Chris started off hanging doors and installing baseboards and trim. Right away I was impressed with the speed and the high quality of his work. As we worked together I came to realize that Chris’s skill set was very diverse. His ability to complete jobs that would typically require multiple trades combined with the high quality of his workmanship made him an ideal partner to help complete the project. 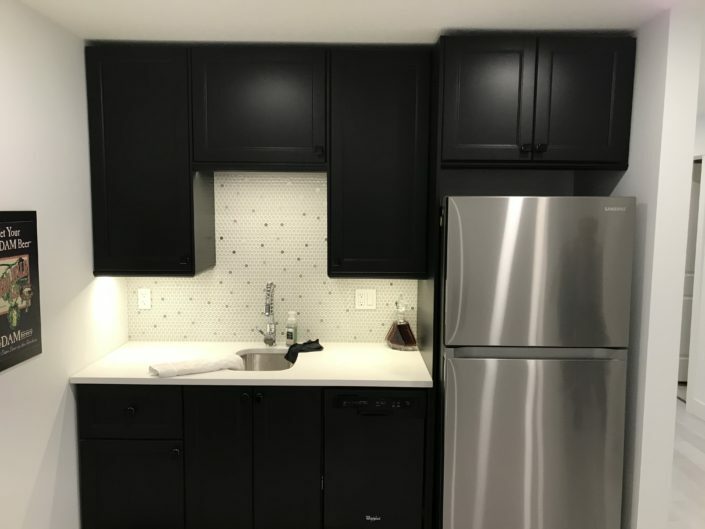 On that project Chris assisted with cabinet assembly, installation, painting, drywall, a complete bathroom tear out and rebuild as well as restructuring and resheating a weak floor. I have since used him at my own home to restructure a roof line and frame in skylights. Additionally I’ve recommended Chris to a number of friends and he’s completed projects for them as well. Chris is truly passionate about his work and takes a lot of pride in his projects, prioritizing a high level of finish quality. I found Chris to be highly organized and was always on time. He is always prepared and clearly puts thought into the project in his off hours arriving each day with new ideas on how to improve or make the project more efficient. Chris is also very knowledgeable w/r to using the right tools for the job. He always had the proper tools and consumable materials required for the work at hand including a few specialty tools which all contributes to a better end product. I would, and have, highly recommended Chris for all sorts of renovation and home project work. He is very professional, he is highly engaged in his work and contributes far more than just his direct skills, bringing good ideas and creativity to the table. Chris did renovations to my home. The scope of the job involved replacement of laminate countertops, ceramic backsplash, installation of crown molding and baseboards. Chris also did some plastering, wallboard repairs, painting and shelving installation. The scope of the work also included numerous other repairs, such as, installation of unique locksets and hinges. 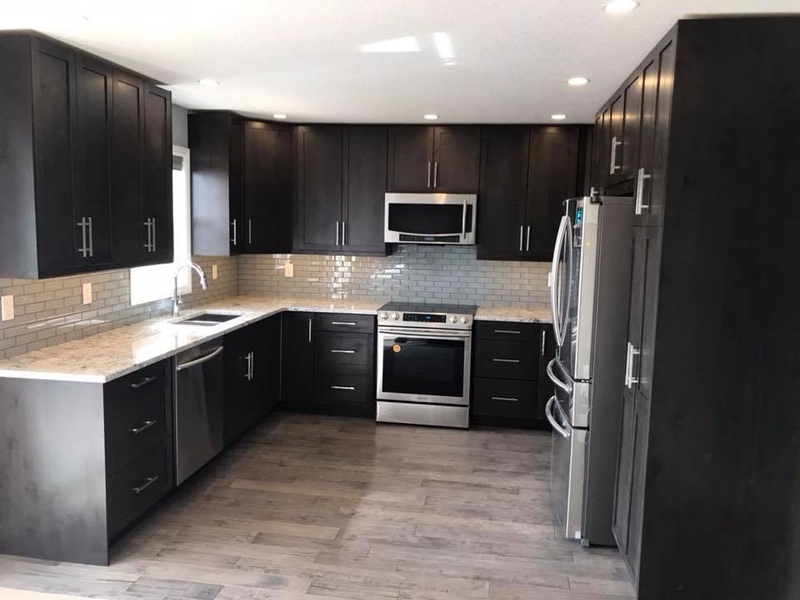 In short, whereas Chris is a journeyman carpenter he has the education and skill set and equipment to handle and complete all renovation packages. When faced with challenging and complex situations, while undertaking the renovations, he was able to problem-solve successful resolutions. Chris is well organized and methodical in his undertakings. He is very articulate. He understands well the scope of the work to be done. He explains well that understanding to the customer. Chris has an excellent work ethic. He is trustworthy. He is fair in his pricing. He takes pride in his work. If some aspect is not correct, he is willing to repair same. He does it cheerfully. I highly recommend Cleland Contracting for you renovation project. We have used Chris many times and are very pleased with the results. We had him hang new solid core doors, install new casing and baseboard. We also had windows replaced throughout our home. He has done both interior and exterior painting. He has also built a custom fire place surround floor to ceiling with faux stone and open white shelves. Chris always shows up exactly as scheduled and always cleans up after the work has been completed. Cleland Contracting is a great company with a great leader. Attention to detail, a relentless attitude towards customer satisfaction, and a great price are just a few of the reasons I’ve had them do work for me. I will continue to work with Cleland Contracting because there a company that will be around 20 years from now. Chris is a very efficient and skilled carpenter who has done a variety of repairs and renos for me. He effectively solved some challenging renovation situations with excellent workmanship. I have recommended Chris to friends who were also very pleased with the work done. If you have any Questions or just want to get in contact, please feel free to send us a message.